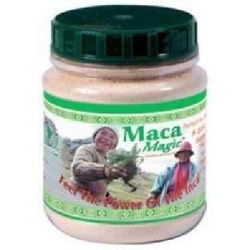 Guaranteed to be rich in bio-active Maca alkaloids.A potent raw whole powder, suitable for smoothies, malts, cakes, extracts, juices, chai tea, or baked goods... Or just add to water. Enzyme-rich, fresh, with a malt-like tast. Great when mixed with soy or rice milk or blended into a banana shake. Can also be added to soups or shaken on ice-cream or yogurt.